The Warriors picked up their eighth straight win with Monday’s 117-101 triumph over the visiting Grizzlies. The Warriors picked up their eighth straight win with Monday’s 117-101 triumph over the visiting Grizzlies. Klay Thompson had 27 points to lead the Dubs, who improved to 10-1 on the season. The Warriors become the first team in the Western Conference to reach 10 wins on the season, sharing the top record in the league with the Raptors, who improved to 10-1 about 90 minutes before the Dubs with their win in Utah. 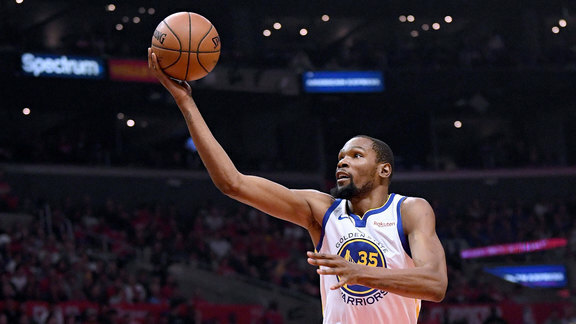 Kevin Durant made his first five shots and tallied 22 points, six boards and six assists, while Stephen Curry added 19 points and seven assists as the Dubs picked up their sixth home win in as many tries to start the season. For the Dubs, it took them a little while to find their rhythm. Memphis led by as many as seven points in the first quarter and held the Warriors to 45 percent shooting in the first half. But after Thompson nailed one of his three treys to tie the game right before the half, the Dubs took control. 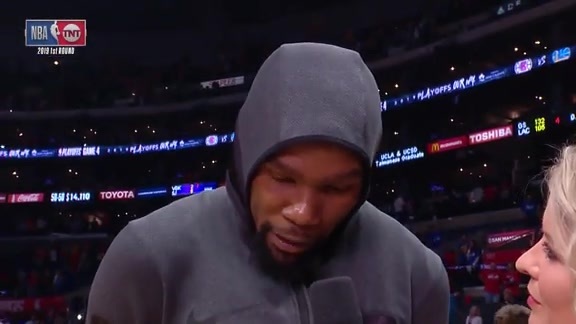 Kevin Durant gave the Dubs the lead for good with a pair of free throws four minutes into the third quarter, and the Warriors broke the game open with a 14-0 run punctuated by an Alfonzo McKinney 3-pointer from the corner. McKinney tallied 14 points on 6-for-9 shooting, continuing one of the best stories in the league this year. 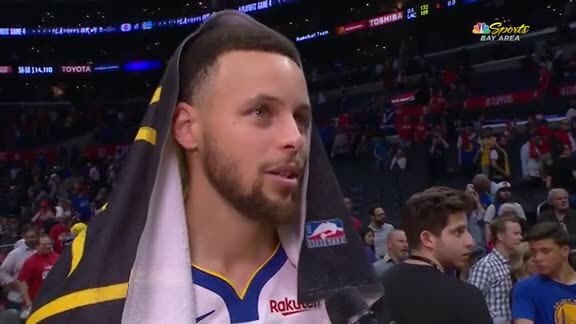 His pro basketball career has taken him all over the globe in recent years, but the 26-year-old wing has found a home with the Dubs with this marking his third double-digit scoring effort of the season. Now three games into this season-long five-game homestand, the Warriors will have a pair of days off before returning to action against the Milwaukee Bucks. Owners of the top rating in the league, the Bucks were one of four teams in the NBA that entered Tuesday with just one loss on the season. Prior to the game, Omri Casspi received his 2018 NBA Championship ring during a brief ceremony just before tipoff. Warriors General Manager Bob Myers presented the ring to Casspi, who played in 53 games during the 2017-18 season but was waived prior to the postseason to make a roster spot available for Quinn Cook.